As a great poet laureate of our time once said, “Mmm… beer!” Our thoughts exactly. Horsetooth Hot Sauce has joined forces with Odell brewing Co. to add heat to your hops by turning beer into hot sauce. With help from a little Horsetooth magic, Odell’s award-winning classic IPA transforms into “Hop Sauce”, a spicy sweet blend of aromatic American hops, orange habanero, and juicy pineapple. Light bodied and full flavored with incredible hop character, this hot sauce is sure to please even the most discerning of beer connoisseurs. 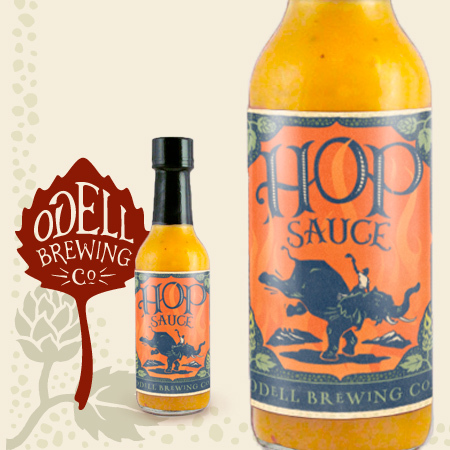 Hop Sauce will be sold exclusively at Odell Brewing Co, so be sure to visit the tap room soon and pick up a bottle.